For competition by shooters who are members of any properly constituted Rifle Club. 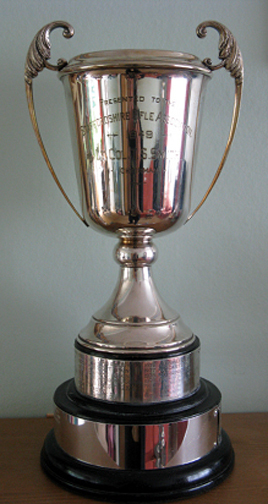 Presented to the Association in 1992. 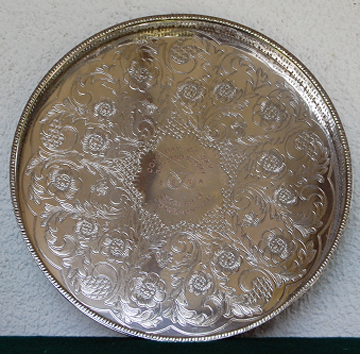 Awarded to the Overall Winner of the Staffordshire Combined Rifle Meeting, and is retained for one year. 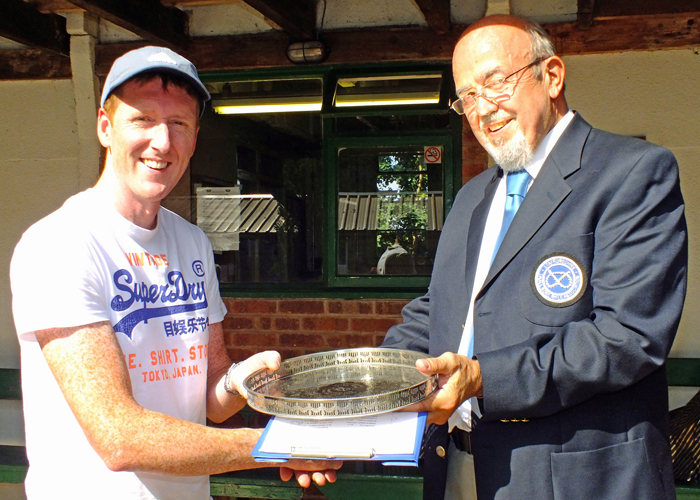 The above photograph shows SSRA Chairman - Richard Tilstone (pictured right), presenting the 'Come Day - Go Day' Salver to Simon Green, (pictured left). 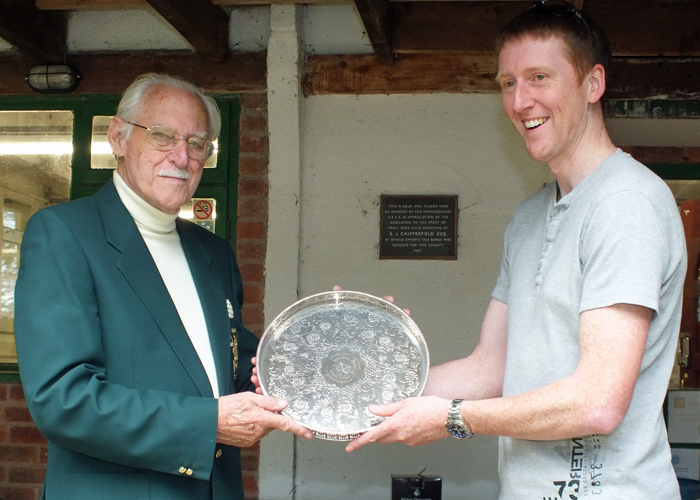 The above photograph shows SSRA President - Major (Retired) Peter Martin MBE, pictured left - presenting the 'Come Day - Go Day' Salver to Simon Green, pictured right. 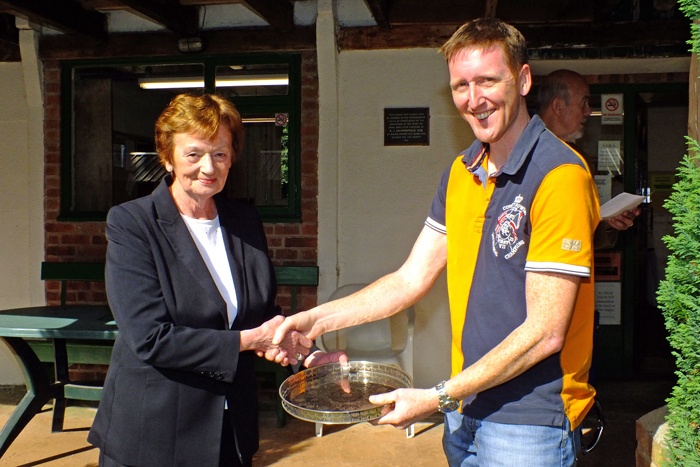 The above photograph shows Mary Jennings, pictured left, presenting the Come Day - Go Day Salver to Simon Green, pictured right. 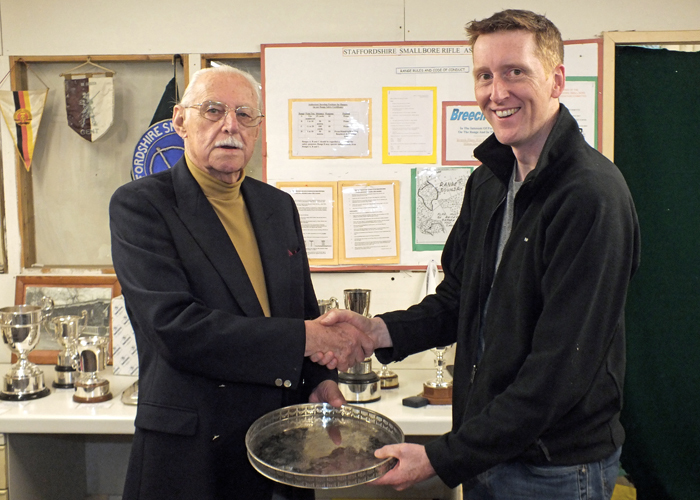 The above photograph shows S. Green, pictured right, receiving The 'Come-Day-Go-Day Salver' for 2014 from SSRA President - Major (Retired) Peter Martin, MBE. 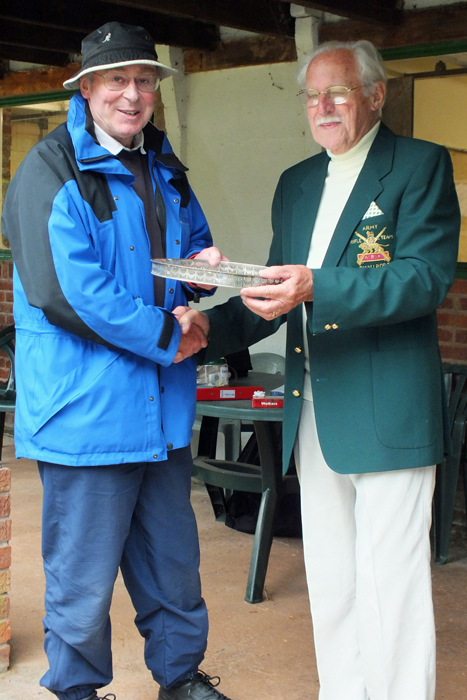 The above photograph shows N. Peters, pictured left, receiving the 'Come Day, Go Day, God Send Sunday' Salver for 2013 from SSRA President - Major (Retired) Peter Martin, MBE.